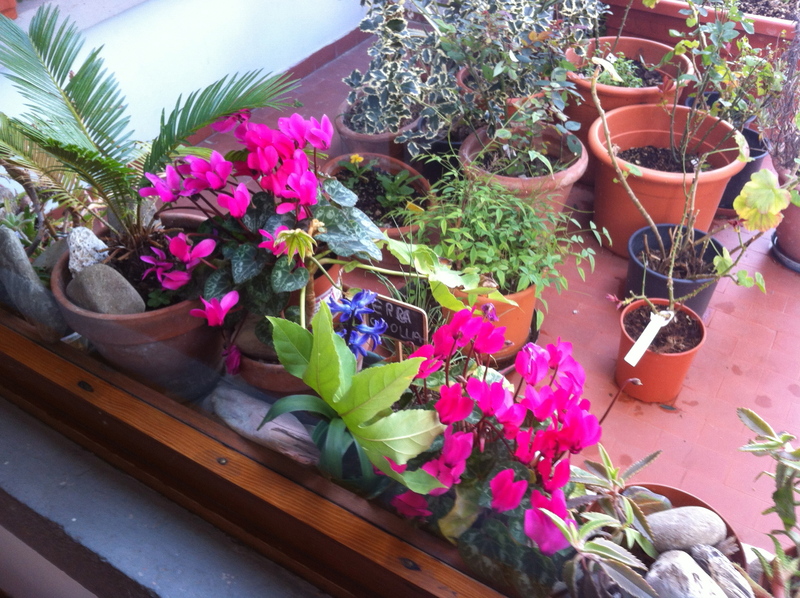 Question: If we are Reggio-inspired school, why did Liz and Noni go to Pistoia? Aren’t there study trips to Reggio? What is the difference between these two regions? This is a great question and one that I truly didn’t know the answer to either before I left. We chose Pistoia on the strong recommendation of Joanne Pressman who has been to both regions and thought that Pistoia would be more meaningful for a couple of reasons. First, the tours to Pistoia are smaller and more intimate. 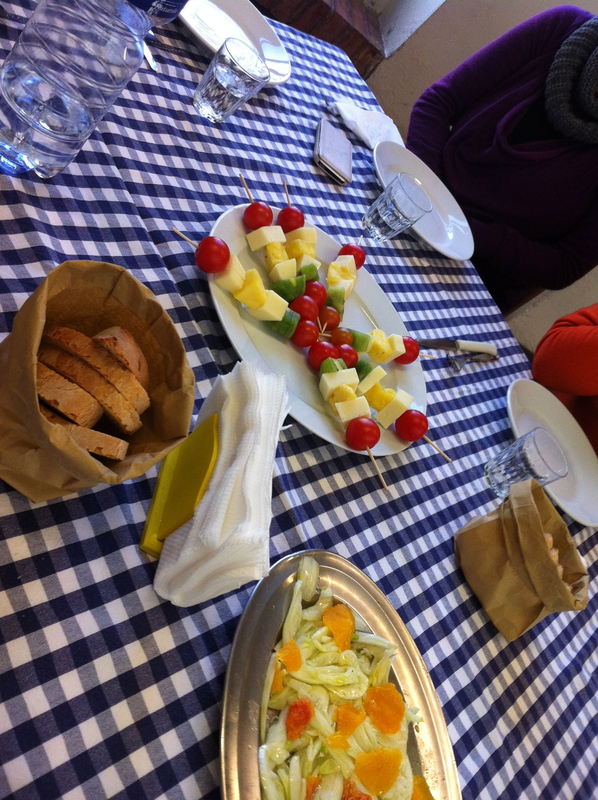 The Reggio tours tends to be inclusive of 100 participants if not more at a time. Our group in Pistoia numbered 11 participants with two facilitators. 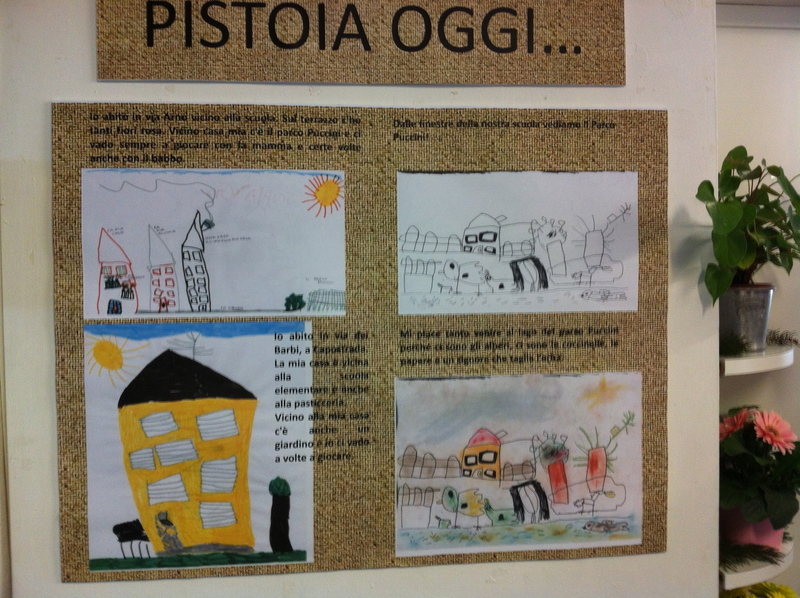 Next, in Pistoia, we were allowed to take pictures of the schools and environments. We were asked to be respectful of the children and to refrain from taking full pictures of their faces – but we were trusted to use our discretion. Having the pictures now is incredibly helpful. These study tours can feel overwhelming as you pass from one school in the morning and one in the afternoon. The images and ideas could blend to together and lose some context without have the photo to remind us where we were and when. Study group participants in Reggio are not allowed to take photos. Reggio is a very special place. But it has become known as a destination and with that comes more structure and commercialism. In their effort to include more and more visitors – which is a good thing because their goal is to share and educate as many others as possible – it has been suggested that the level of interaction and intimacy has changed as a result. I still would like to go to Reggio one day – but I feel as if the greater priority would be to send as many teachers over to Pistoia as possible over these next five years. Pistoia offers the same kind of Tuscan, Italian philosophy – without perhaps the big machine feeling of Reggio. But there is even a little more to this story. 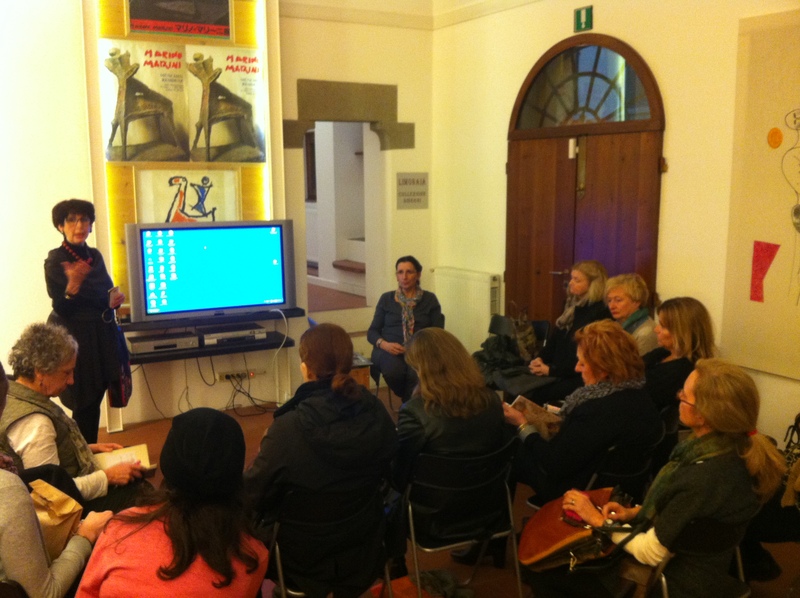 On our first day of the tour, during our orientation with Donnatella Giovanni (Director of Education for children 0-3); she was asked to characterize the differences between what happens in Pistoia with her sense of Reggio. She noted that there are lots in common between the regions: image of the child; the ways in which they work in collaboration with families; the ways in which they encourage teachers to share ideas and to create classroom and school environments that are aesthically beautiful and rich in materials. Where they slightly differ has to do with their areas of focus around the child (and this resonated for me and Noni based on our previous study of Reggio practice and documentation) – teachers in Reggio are guided to be somewhat research oriented. 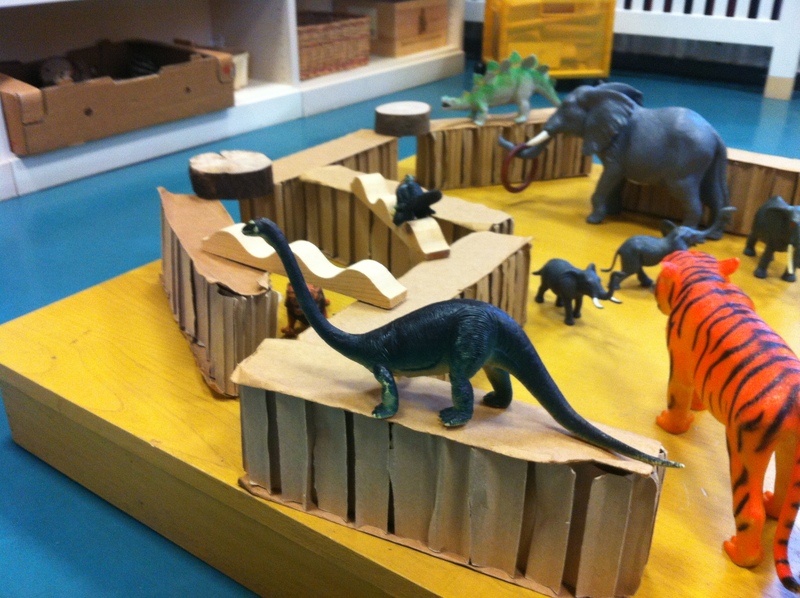 They focus on children’s cognitive thinking – rather a primary focus on the daily living experience of being together. 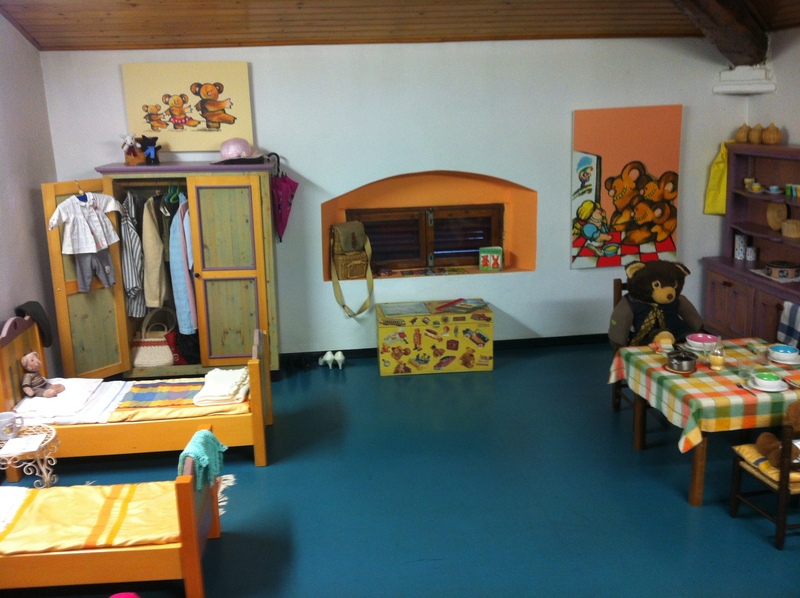 In Pistoia, there are support centers and services to support parents and even older children (ages up to 10 years). And because they are a smaller system of schools, they are able to be focused on shared objectives. 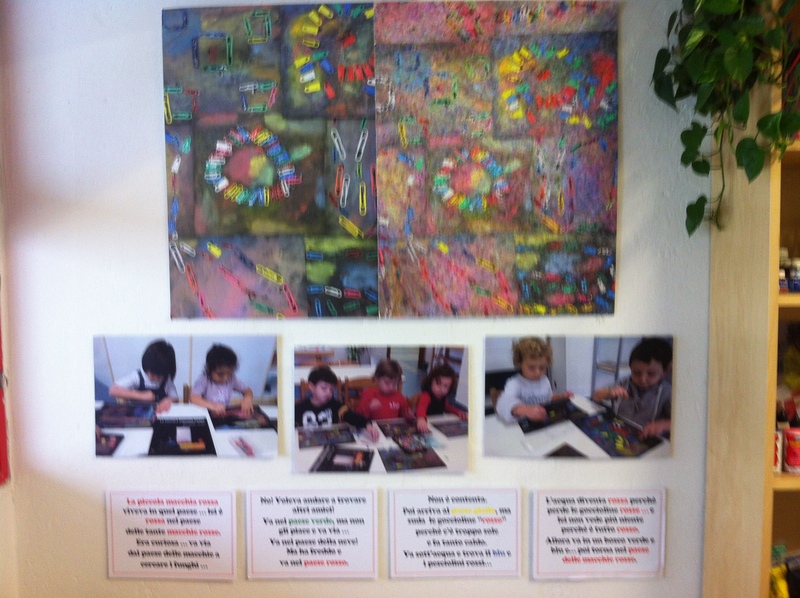 Reggio is twice as big and has a larger coordinated structure that includes research and documentation. Due to its size and simplicity, Pistoia’s system, Donnatella suggested that it can be interpreted in a more facile way – what can be taken and adopted is easier because there is less organizational structure. I will give you what I consider to be the best example I have of this. 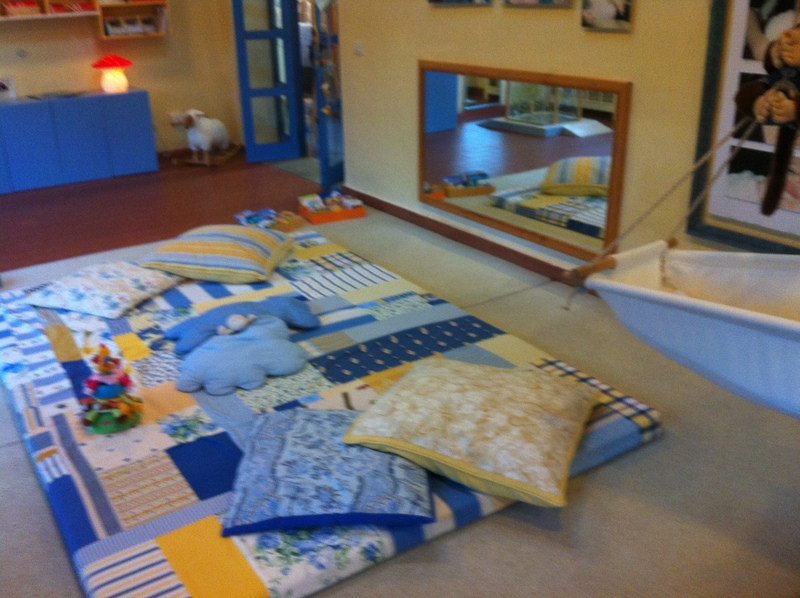 In Reggio, many schools (if not all) have a designated studio teacher or an “atelierista”. In Pistoia, there is no such position. All teachers rotate with their smaller groups into art studio spaces at different times. In addition, there is no extra teacher focused just on documenting process. Teachers pay close attention during their work – and create the documentation to help share with others about the people that live there at the school. With their documentation, their goal is to show the intelligence and curiosity of the children and teachers – so that the walls are like a book waiting to be read. 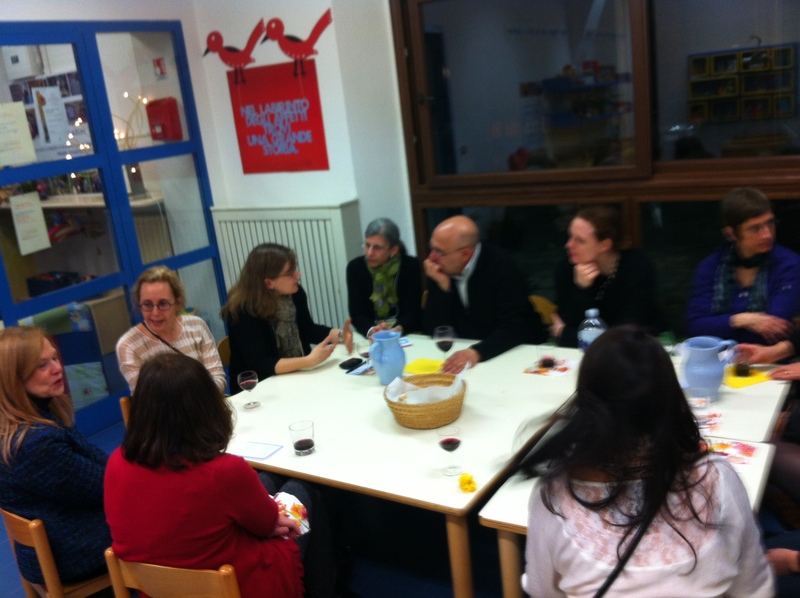 For the teachers in Pistoia, relationships are primary – the activity is secondary. I felt this observation resonated with me and how I work with our teachers at CNS. I have always tried to counsel them to pay closest attention to the authentic relationships that they have with the children and to worry everything else secondarily. And lastly for this reflection – when asked about the art studio teacher model and whether or not there are teachers in Pistoia who might be less comfortable than others working in their art studio spaces – and would they ever consider moving the children through the spaces and having designated teachers in each – their response what that the focus is always on the children – not on themselves. That adult preferences are always secondary. 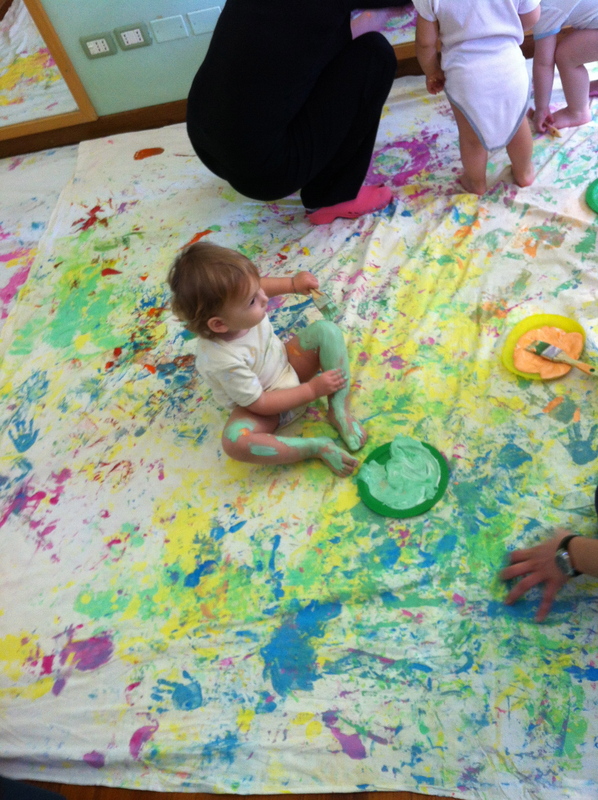 Sometimes here in the United States – and more closely at CNS – we have stumbled thinking about fully implementing the “Reggio model” because we lack the financial ability to hire that extra studio teacher. Now, having returned and seen how Pistoia has created a model that incorporates meaningful studio and creative art time without having that extra teacher, I am encouraged for how we might adjust our thinking here to broaden and increase the use of our beautiful studio space. It was as if a limit had been lifted and light came rushing in. So now for me, I am left with an interesting question. 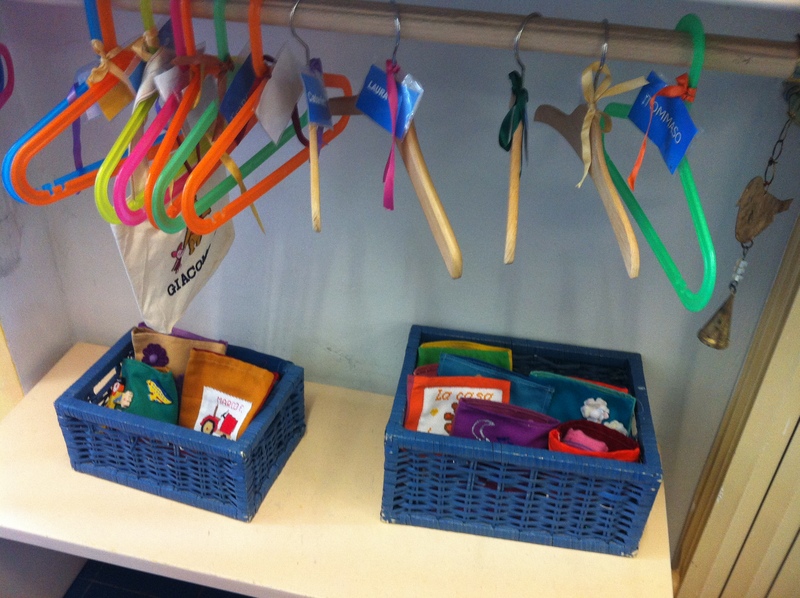 Are we Reggio-inspired? Or have we adopted that name because Reggio was the first region we learned about? There is absolutely nothing wrong with considering that affliation – but now I feel that our inspiration truly comes from so many different sources that I begin to question how the walls of our school should represent our vision. We truly draw from the models in Reggio, Pistoia, but also from the work of Voices from the Land; from the Hawkins; from the great theorists Bruner, Vygotsky, and on; we also borrow from the traditions and learning of Montessori and Waldorf. So it is now for me a very interesting question for how we describe and then label our inspiration. 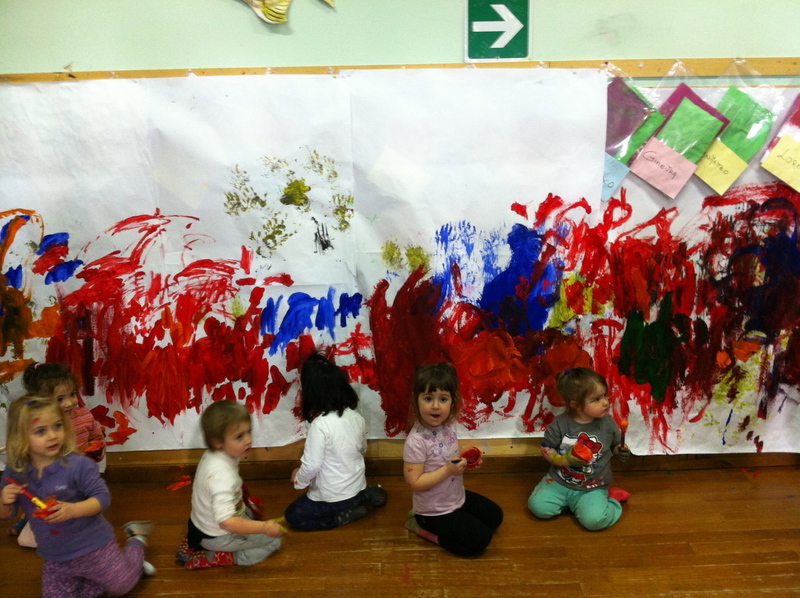 Seems now limiting to just say that we are “Reggio-inspired”. Over the coming weeks and months I will be deeply considering this question and asking for input and advice from all as we begin to sharpen our identity and our sense of how we define ourselves and our philosophy. Today was our last day on the study tour. There is so much to share – to write – to reflect. But it is very late here and we have an early plane to catch, with a very long journey home. Much more to come in this blogspace to share some of that. For now, enjoy these photos and please know how much your support and interest in our journey has sustained us throughout the week. It was felt and appreciated. See you soon. Time to come home (read that Maggie?). This morning we left our hotel early and were on our way to the train station just as the city woke up. Catching an early train to the sea we shared the platform with students, commuters, and the sunshine. We were on our way to Viareggio, a seaside town known for its annual “Carnival” which is a celebration held each year at the end of February, beginning of March. While the purpose of our trip was to visit a school in Viareggio; we also were treated to an orientation and understanding of the region’s history and culture. This was done by both a visit to Puccini’s homestead where a beautiful outdoor theater has been constructed as well as a visit to where the Carnival floats are created complete with a tour through the Carnival museum. In addition, we were formally greeted at their City Hall by a number of different political figures. It was their first time welcoming a study tour delegation and they welcomed us with grace, dignity, and tremendous warmth. But the bulk of our day was spent being welcomed and touring one of their schools. 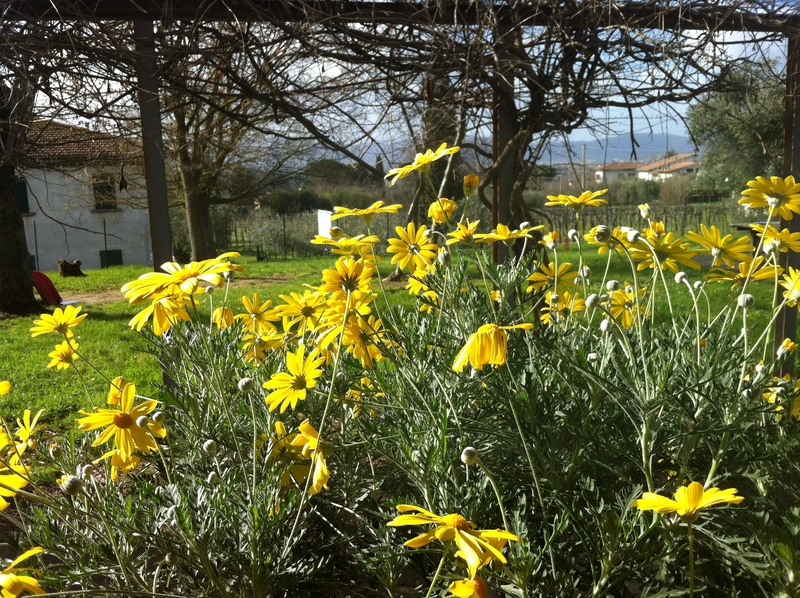 They consider themselves as embracing the Tuscan tradition of Pistoia and Reggio. We saw wonderful examples of the love and respect that they show each child, and family. I was especially struck by their careful attention to the rights of each child. Outside each entrance (there were two schools located within the one building that we visited) were listed the rights for each of the protagonists (parents, teachers, children, community). This sense of rights is very important to these people and our interpreter was so moved by the “rights of children”, that independently she decided that she would read them all to us before we entered the second school – and I am so glad that she did. They were not what I expected. This was a very official looking sort of document, on a very institutional bulletin board. Before she began reading them, I assumed they would be obvious, rote, standard. Instead they were evocative, challenging, thoughtful. Every child has the right to dialogue. Every child has the right to use their hands. Every child has the right to get dirty. Every child has the right to build a fort in the pine forest. Every child has the right to climb trees. Every child has the right to splash in the seas. Every child has the right to the street. Every child has the right to play freely. Every child has the right to smells. Every child has the right to silence. Every child has a right to a good beginning. Every child has the right to breathe clear air. Every child has the right to clean water. Every child has the right to nuances – to admire the sunrise and sunset. Every child has the right to taste what is beautiful. Every child has the right to live in truth. After our return from Viareggio, we quickly caught our breath and headed right over to a reception that included another US study tour. Their group of 28 included professors, graduate students, and undergraduates. Most of them were from the West Virginia area. They had just arrived on Wednesday and were at the very start of their journey, while we were on opposite side of our journey. It was joyful to share a delicious meal with them and get to know some colleagues who are also as interested and open to learning, sharing, and embracing this beautiful land, people, culture. It gave me a chance to have yet another perspective as to how much I have absorbed, considered, have been provoked, and stretched this week. Grateful. I am grateful. Friday we will have an early morning lecture and then will visit two more schools before concluding our study tour in the late afternoon. Following its conclusion, Noni and I will board a train back to Florence along with a few of our new found friends and colleagues for one last night here in this beautiful country. Thank you to all for your comments and questions. I have answers and information for all of you – just not enough time with good internet connection to individually answer you at this point. Please know that I will follow up with you and all as soon as I have a little more time, space, and connectivity. Grazie. Grazie mille. This morning we had a few hours to ourselves to seek out the Market. I had half expected something similar to our weekly market in Lexington – but this was that times 100. It was massive. The whole downtown area was awash in vendors – selling everything from kitchen equipment to linens to leather. It was packed with local shoppers – very few tourists. We made our way up and down each aisle; picking up a few gifts for our loved ones; and of course, a few gifts for CNS. 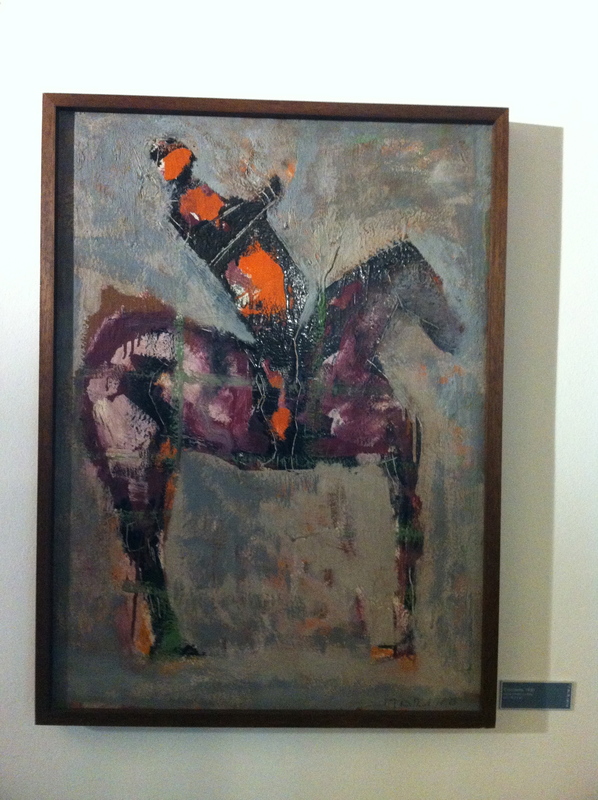 After lunch, we made our way to the Museum of Marino Marini. For those of you who read yesterday’s post; this is the artist (born in Pistoia) that I mentioned with reference to the school we visited in the morning. 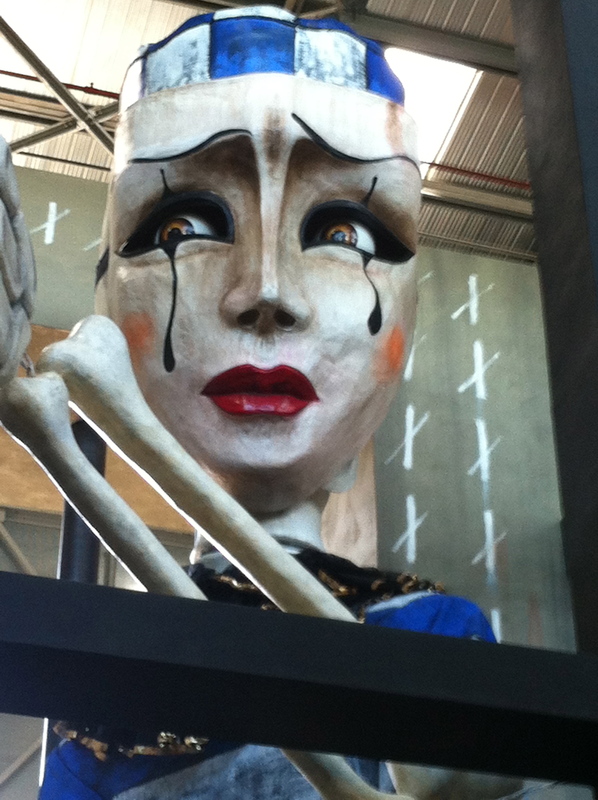 The collection of his work was stunning – reminded me a lot of my brother’s work (not so humble a sister am I…. ;)). The museum tour was a prelude to two lectures that we attended at the museum – specifically for our group. The first lecture was about the integration of art and nature. For both Noni and I, this topic resonated deeply for us relative to our work with “Voices from the Land”. It is very important work – and this lecture introduced us to a few new artists to consider (in addition to Andy Goldsworthy) as we continue to inspire and incorporate different provocations for our children at CNS. I felt like I wanted to stand up and share the Voices work – to expand their sense of what can be done with a landscape, a people, and a language; but it wasn’t the place or the time. I thought a lot about my colleague, Erik Mollenhauer, and how his work with the Voices project has such fertile ground all around the world (of which he is well aware). The second lecture (which came after a much needed cappuchino) was fantastic. The passion of the presenter, Anna Lia Galardini, was palpable. I love people who are passionate about her work – and as I made eye contact with Anna Lia (while her words were being translated), I connected with her passion and her intensity and felt myself re-energized and reborn in a way that was most special. So much of her work with children is so close to what we believe and try to do with your children at CNS. What I especially appreciated about her talk was that she provided a real example of how to consider the role of all (child, teacher, environment) in the educational moment when going on a ‘journey’ (our word at CNS has been so far ‘investigation’ – I sort of like ‘journey’ better). There was so much to what she said and described about this learning process that resonated with me – I could write for pages and pages. But I will distill it down to what I found to be the most compelling – most representative moment of the lecture. Think about that for a moment. To me, that concept resonates so deeply. If we enable children to have place, a moment, and time to draw forth their creativity; their questions, their theories from within…then they will forever for creative, thoughtful, and empowered in their learning. More to come…I hope this is coming through my writing; but if not, let me be blunt. I am learning more – thinking more – and absorbing more than I thought possible. This trip is a gift. And I promise to pass that gift along to everyone of you and to your children. Ciao. 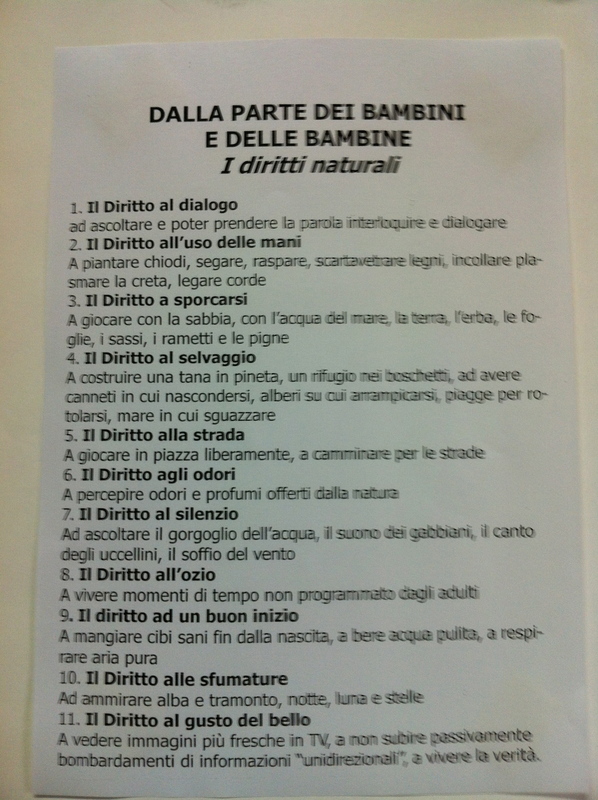 (and yes, new resolution to self: learn how to speak Italian before I turn 50…). Today was our first full day of the program and it started at the Educational Center of Pistoia with an introduction by Donatella Giovannini who is the pedagogical coordinator for infant and toddler services in Pistoia. 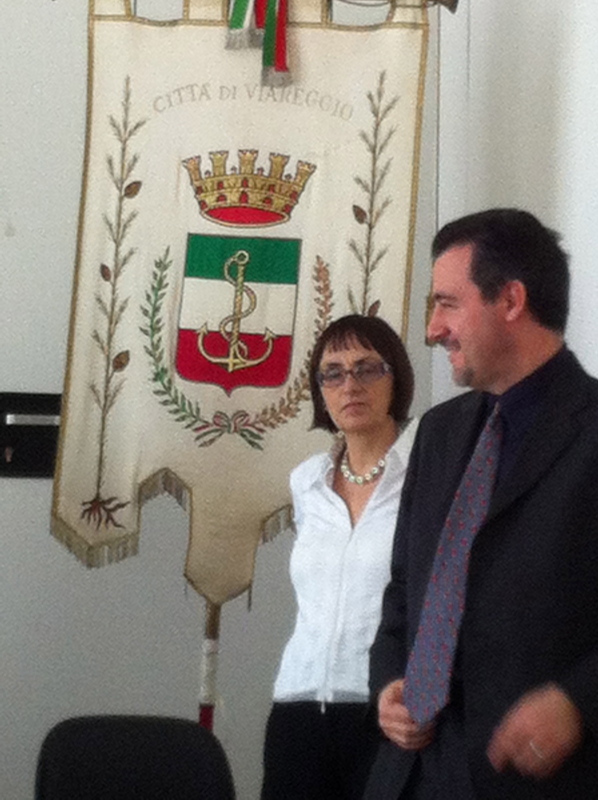 For about two hours she provided our group with an overview of the early education programs in Pistoia – both from an organizational perspective as well what was more interesting: she provided an in depth look into the values, consideration, and priorities for the early education programs in the municipality of Pistoia. Here are some of the highlights from her talk – which resonated with me on a very deep level. I now have heard first hand why Joanne years ago so instinctively felt the connection between these schools and much of what we also share, believe and value when it comes to our approach to children and community. 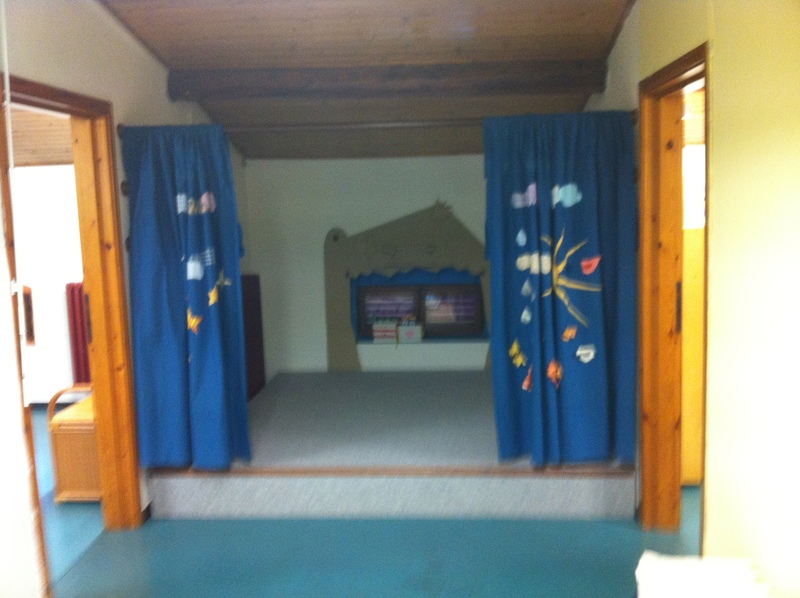 Centers are a place for daily life; developmental growth is hand in hand connected – there no division between in their approach between care and education; meaning that there can not be education/learning without care – mind and body; reasoning and emotions; it all goes hand in hand. They take each child in all their complexity. Environments are created to inspire on an emotional and cognitive level. “You don’t learn alone.” Learning must effectively take place in a social context. Affection and positive affection play a role in cognitive development. After her talk, we then spent the rest of the day visiting two different centers: Area Rossa and Area Gialla. Both of these provide services to children and families. The pictures speak a thousand words and the spaces were absolutely beautiful in both schools. Every single detail is attended to – they are simply elegant, mindful, and a place when entered filled me with a sense of wonder, admiration, and desire to interact with the materials. The second place that we visited was similarly beautiful – with again every single detail attended to…but what was more important was the attention and value that is place on their community. Involving and support parents and children – creating support for families in a way that includes them in every aspect. This reminded me so much of what we try to maintain and celebrate at CNS. But I also got many new ideas and inspiration as to how we can maintain and grow our community and involvement. The people here are incredibly warm and welcoming. They have so much love and pride in what they do – they are committed to their work and passionate about the children, families, and community. I am looking forward to Day Two – we visit two more schools and will continue to immerse ourselves in the ways in which these schools consider and approach the care and education about the total child, family, and community. Waking this morning in Florence, we felt refreshed after a good night’s sleep. We headed out early to the train station to catch the 10:10 commuter train to Pistoia. The people here could not be any more helpful – answering all our questions and helping us find where we needed to go. 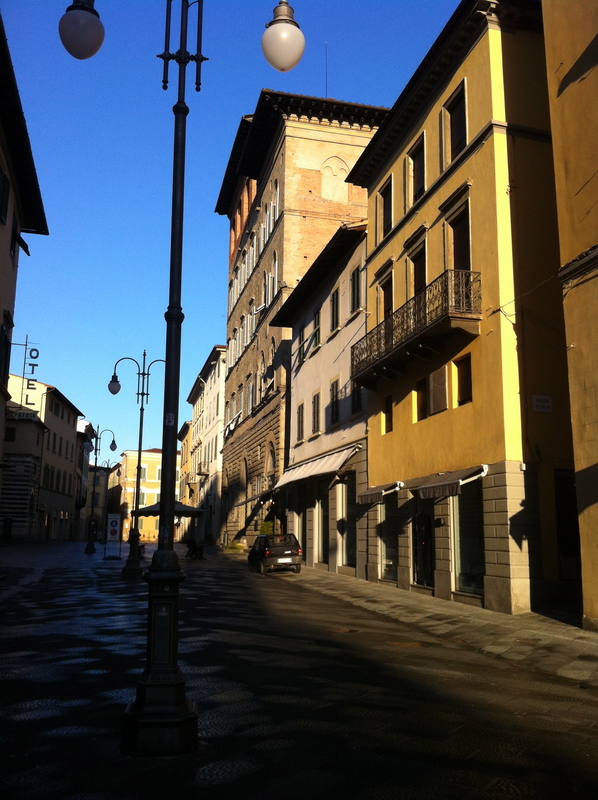 We arrived in Pistoia around 11A and walked from the train station to our hotel. A much smaller city than Florence – but with similar medieval architecture and remnants from when it was an enclosed Roman city. We settled into our hotel room, unpacked and then headed back out to find some lunch. Our tour began at 2:30P – and we spent close to two and half hours walking the streets with a wonderful guide who took us to a number of churches, piazzas, and other beautiful spaces. It lightly rained throughout our walk – but the beauty and the ancient sense of place shone through. Our newly found colleagues (there are about 12 in the group) mostly come from New England; a few from Manhattan, Brooklyn; and further north. It is a interesting collection of educators – some teachers, some professors, some directors. Everyone seems so happy to be here and eager for tomorrow when our study tour begins in earnest. Our two facilitators are Susan Etheridge (Professor at Smith College) and Rosemary Agoglia (Director of Education Services at the Eric Carle Museum of Picture Book Art). 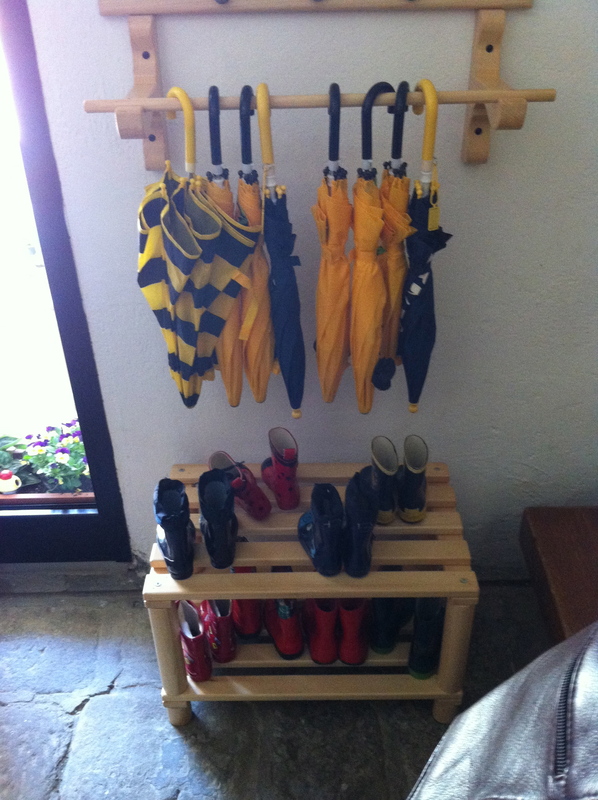 We will spend the day tomorrow visiting a few different Education Centers: Villa Baldi Papini, Area Rossa (specifically designed to support families – a special place for very small babies and toddlers), and Area Gialla (a space dedicated to storytelling and to puppets and toys handcrafted with creativity and inexpensive materials). I already look forward to writing in this space tomorrow – with reflections, observations, and more photos.